Today we are presenting to you a very valuable trick. 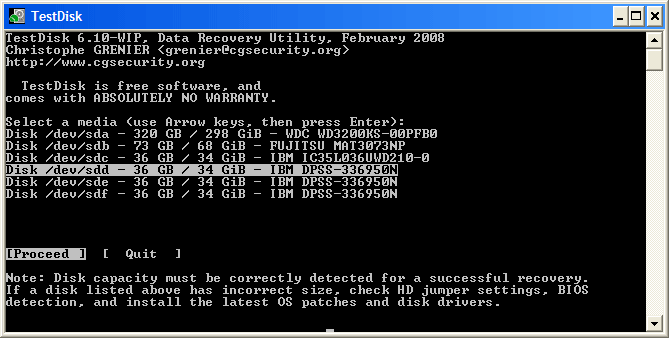 The trick name is Recover Lost Files From Formatted Drive Or Memory. We are calling it valuable because of it is very useful to all of us. We posted a trick about this topic. But that was for Android. You can get back your lost files by that trick. If you want to read that trick then simply click here. It will through you that page. If you have an Android and you want to get back your files from android then it can help you a lot. So, read that. How to Recover Lost Files ? Firstly you need to download a file named testdisk. You can download the file by simply click here. After visiting the link select Windows. After selecting the file will start automatically download. After unzip open the file. Now you can see a file with the following extension photorec_win.exe. Run it give permit to your windows. After run you can see you drive there. Now choose your Memory or Drive to recover. You can select it by using your keyboard arrow key and hit Enter. Now choose unkown and hit enter. After that simply choose other. Now is the final step that you need to choose your date and hit enter. Now you have already done. You need to do nothing now. It will take it’s own time. Wait for it. It will show you how much time it will need. After complete the process you can access your files. But there is a thing still you don’t know. From where you can access your files ? And the answer is you can access your files testdisk folder(the tools folder). After completing the process you can see a folder name recup_dir.1, 2 or many according to your files. Now you are completely know about the trick. Hope you like it. Stay with us cause of getting more.